Sixteen years have passed since the attacks of September 11, 2001 killed nearly 3,000 people and forever altered the world as we knew it. From the instant President George W. Bush was informed of the attacks to the raising of the American flag by firefighters among ground zero's wreckage, photographers were there to document what had in an instant become one of the most important days in history. 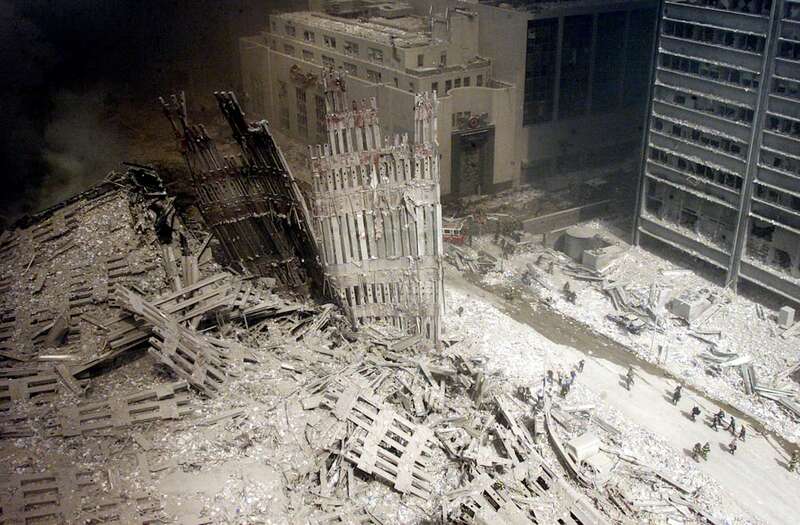 Several of the day's most memorable images include people who have since passed, like Marcy Borders -- the "Dust Lady" -- who battled stomach cancer in the aftermath of the attacks, and FDNY Chaplain Father Mychal Judge who was killed as the south tower fell. In the gallery below, click through to see 16 of the most iconic photos from the September 11 attacks, 16 years on.